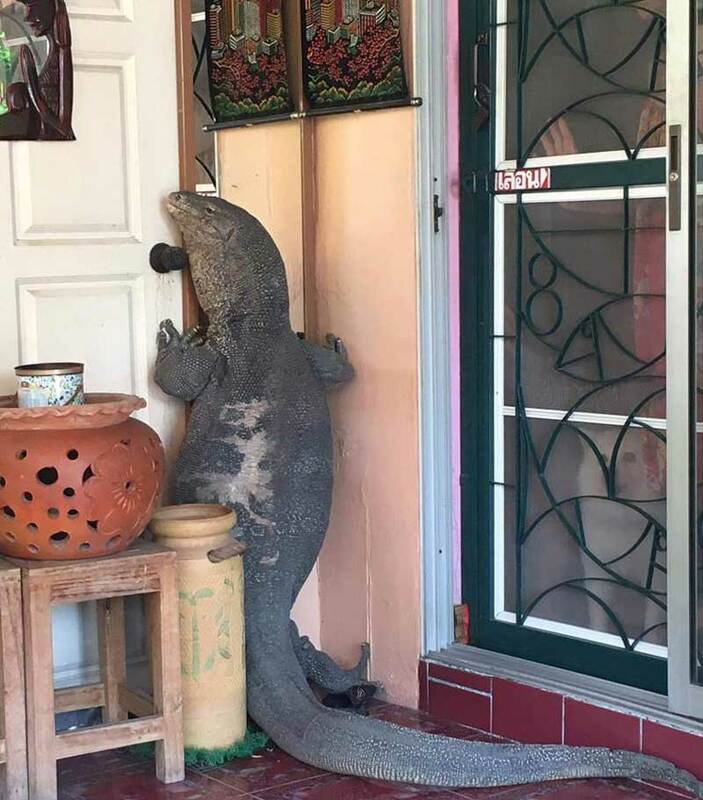 A huge monitor lizard visited a family in Thailand recently. Attanai Thaiyuanwong found the reptile at his door when he arrived back at his home in Nonthaburi on Sunday. The six-foot creature stood upright on its hind legs scratching at the door knob whileits mouth was latched around it. An unidentified man attempted to lure the lizard away with some rope. The giant creature was later removed successfully and unharmed.